I am suffering #1, I am still hung up on the Reluctant Sacrifice by Kerr-Ann Dempster!! Do you ever suffer from this? I understand completely! 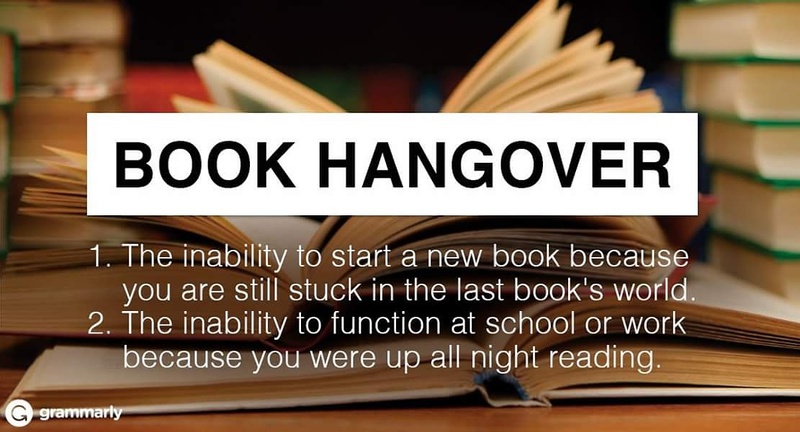 I’m still hungover on Ignite Me, though I already read another book in the meantime, my head keeps going back to it…. I feel like even though I’ve been reading a bunch, the hangover has continued to build throughout the books I’ve been reading. Definitely. Especially when there are major character deaths involved, or the book was so phenomenal it leaves you breathless. OR it felt like the end of an era and you have to respectfully pause for a bit. The last time it happened to me was after I finished Dreams of Gods & Monsters, I was in a state of severe hangover that I re-read the last few chapters again just to re-live it. lol. Yes, I was in hangover mode after that one too! I really liked this idea of metal suffering after reading a particularly compelling novel..I will remember this description and use it in the future when appropriate.